Sharing The Load…The Bible Way! There are so many models and methods of doing church in this day and age. Everyone seems to have a new idea on how to “do” church. Many of those ideas are great and we implement some of their concepts in Extreme Life, but I have to say that the ultimate authority on how this should be done, has to be God’s own word. Let’s look at how God lead His own people as recorded for us in Exodus 18. Moses was leading approximately two million people through a journey towards their inheritance in their promised land (itself a type of the journey of the modern church). Within those two million people were a group of men previously appointed (Exodus 4:29) as “Elders“. Yet here in chapter 18, we are told that all the people were “just standing around“. These appointed elders were statues rather than men of stature. They should have been actively participating with Moses in the leading and shepherding of God’s people, but obviously were not. So Moses was singlehandedly doing his best to lead these two million people on a journey that many of them did not even want to be on…some of them would have rather have died in captivity and others longed to return to the slavery of Egypt (again, very much a picture of the journey of many modern churches!). Moses’ role involved setting the direction of their travel and actually leading them, but it also involved conflict resolution. Imagine every one of those two million people coming to him every day whenever they had an issue with anyone else among their massive camp. God saw the pressure Moses was under and knew it was not good for either him or the rest of the camp, so He spoke to Jethro and showed him a better way. In verse 20 Jethro tells Moses that rather than everyone coming to him at the first sign of dispute, he should teach everyone the laws and decrees and show them how to live. By teaching (educating) them all, all the people would be empowered with knowledge and understanding to help them make good decisions and avoid or resolve their own problems. By showing them how to live (equipping), they all had a practical demonstration and model before them making it something they could see, understand and grasp to apply themselves. In verse 21 we see that Moses was advised to select some capable men that met with a list of selection criteria (men who fear God, trustworthy, haters of dishonest gain, from all the people) and to appoint them as leaders over tens, fifties, hundreds and thousands. This would put a support structure around Moses so that most conflict and relational issues would never even make it to his attention…they would be sorted out by either the better equipped people themselves or if they could not find a resolution, they could take it to their leader of ten…and if there was still no resolution they still had a leader of fifties, hundreds and thousands to go to. This gave a much better solution to the problems, because people were actually approaching leaders they had a much better relationship with. There is no way all two million of them could have a personal relationship with Moses, so he would often be giving resolutions and advice to people who didn’t know him. Now with the leaders of smaller groupings, they would actually be approaching people who knew them and their situations and could give advice based on a much more personal perspective. Based on a population of two million…Moses appointed approximately 200 000 leaders of tens, 40 000 leaders of fifties, 20 000 leaders of hundreds and 2 000 leaders of thousands. That makes a leadership base of around 262 000 leaders which is about 13% of the population. This model that Jethro presented to Moses had two main goals identified in verse 23. That Moses would be able to stand the strain and the rest of the people would go home satisfied. At the start of the chapter we had one man working to maintain civil peace among two million disgruntled travellers while everyone else just stood around. We now have two million people who are better educated and equipped to live with over a quarter of a million people assigned to help them with the issues of daily life. That sounds like a win – win to me. This model has one major flaw in many modern applications…we all perceive ourselves as Moses. 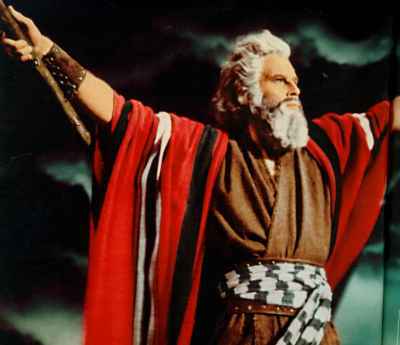 We are not Moses…we are one of the appointed 262 000 leaders! Some one else appointed all of us to our leadership and we must remain inside that relational and authority structure. This is for our own safety and the safety of all those we happen to lead. This is a place of accountability and also a place of education and equipping exactly like we saw in Exodus 18. It also provides a source for all of us to seek guidance from leaders of different capacities as we need it…and we will need it whether we admit it and seek it out or not. At Extreme Life we aim to implement this model as best as we can. That is why we provide leaders at many different levels. We have leaders of home groups, youth groups, mens ministries etc. Everyone who is an active part of Extreme Life (building themselves in to some of our many smaller groups) should have a number of leaders that they can approach for leadership, guidance, advice, perspective, education and equipping. Of course there will always be those that want to avoid this kind of personal responsibility for their own lives and avoid building themselves in to such a pattern and also those who want to function in isolation and a complete lack of accountability. The Bible teaches these things for a reason and if we want the outcomes of leaders who can stand the strain and all people living satisfied, I would strongly suggest we adopt the models that God gave us in Scripture with those outcomes!